HIDALGO — A city councilman here and his sister filed a federal lawsuit Thursday against their employer, the Valley View ISD, alleging the school board retaliated against them for supporting political opponents. Sergio Coronado and Claudia Coronado are suing the district after they were both demoted — and in Sergio Coronado’s case, fired — following a contentious school election in November 2016. In the lawsuit, they argue their familial ties to one of the board’s political opponents caused them to lose favor in their professional careers. Valley View Superintendent Rolando Ramirez did not return a request for comment Friday. The siblings said they had never been written up or received negative marks on their performance until the board’s majority changed. The lawsuit refers to the board as the “Pimentel faction” comprised of Juan Pimentel, who also serves as the city’s municipal judge, and Jose A. Rosillo, Noe Pruneda, Susana Arredondo, Ricardo Cortez Jr. and Frank Jimenez. The Coronados believe the district launched several “unfounded” investigations against them to set the stage up for their demotions and ultimately Sergio Coronado’s termination, the document read. The retaliation, they believe, stemmed from a bid by Claudia Coronado’s husband, Abram Ramirez, to win a seat on the school board. Ramirez, who previously served on the Valley View board from 2014 to 2016, ran against one of the current school board members in 2016. And the siblings’ obvious ties to Ramirez’s campaign led to problems for them at work, they alleged in the suit. “Mr. 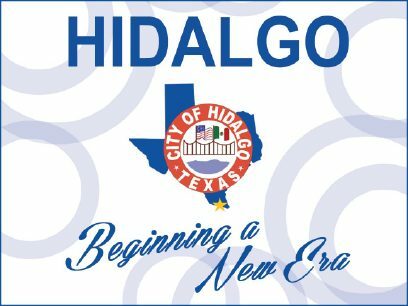 Coronado openly received threats from Hidalgo City Commissioner Rudy Franz and Hidalgo ISD Board Member Raymundo Martinez threatening a demotion if he continued to openly oppose (the faction),” the lawsuit stated. Sergio Coronado, an Hidalgo councilman currently vying for the mayor’s seat, had worked for the district for 13 years and was serving as assistant superintendent until May 2017, when he was abruptly demoted to assessment director. The demotion came with a $15,000 pay cut. Claudia Coronado has been employed with the district for more than six years. She was serving as the principal of Valley View Jr. High until July 2017, when she learned she was being “reassigned” as the assistant principal at Wilbur E. Lucas Elementary via an email dated July 20 from Claudia Garza, the district’s human resources specialist. The reassignment, however, cut her pay and the number of days she worked, the lawsuit stated. The demotions, along with the investigations launched against them, were meant to “embarrass and humiliate” them, and sent a message to other political opponents, the siblings alleged. Their attorneys argue the district violated their First Amendment rights and Sergio Coronado’s 14th Amendment rights because he was denied a hearing with the board to defend his position. They are both seeking undisclosed monetary damages and attorney fees.